An afternoon looking at the sun with Essex Wildlife Trust and North Essex Astronomical Society. 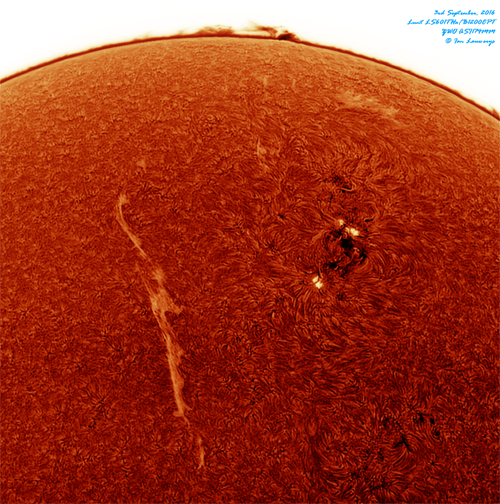 We will have specialist solar telescopes set up to observe the Sun in complete safety. You will be able to see any visible sunspots, as well as prominences and flares, and we will be happy to answer questions on astronomy and telescopes in general. There is no need to book for this event, just turn up any time during the event and look for us on the veranda just through the tearoom. NEVER look at the Sun without proper specialist equipment. Permanent eye damage will result. The normal donation for admission will be requested on the day. The visitor centre and nature reserve will be open as usual from 9am – 5pm. Why not come along and make a day of it exploring the nature reserve? Hot food such as bacon rolls and paninis will be available for purchase during the day in the Skylark tearoom, as well as light refreshments including sandwiches, handmade cake, chocolates and drinks. Please see our Abberton Reservoir Event page for directions and other important information.